Energy from the wind? How does that work? The simplest way to think about it is to consider that a wind turbine works in exactly the opposite way to a fan. Instead of using electricity to make wind, like a fan, turbines use the wind to make electricity. The wind turns the blades, the blades spin the shaft and this connects to a generator, which is where the electricity is made. A generator is a machine that produces electrical energy from mechanical energy, the opposite of an electric motor which turns electric energy into mechanical motion. All our turbines have our unique passive pitch system. This is based on a teetering hub principle. This technology has been designed in 1980, developed for more than 35 years and it is the best concept for blade pitch for midsize wind turbines. 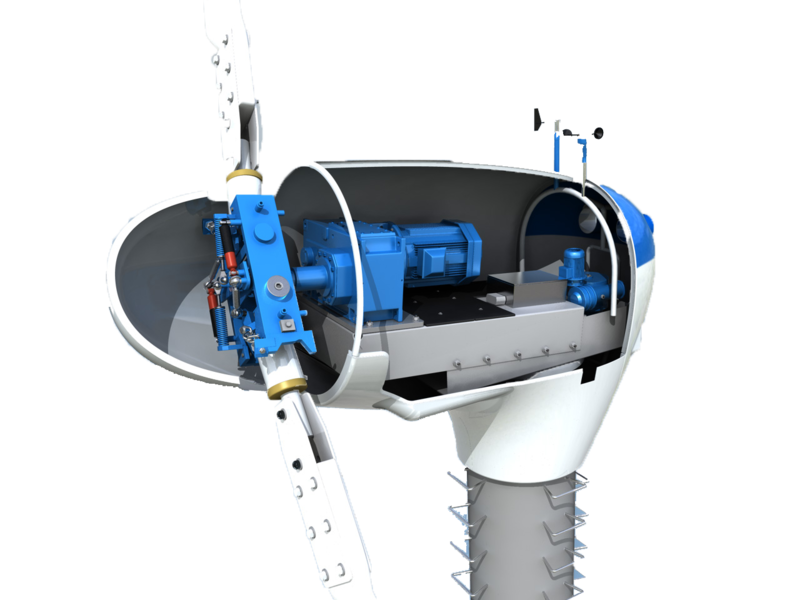 With the result that the WES wind turbine suffers less wear and enjoys a longer life expectancy in comparison with other turbines. Check out the passive pitch video to learn more about this unique interesting technique! 3-bladed turbines are more expensive and need more wind to startup. 4. A proven long-term reliability over 20 years. WES turbines are available with a remote monitoring and control option. 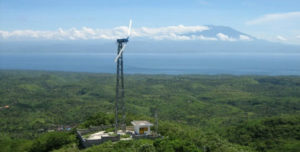 The system makes it possible to log data from the wind turbine on a remote computer. The data is published via a web server and may be viewed in a browser on any local PC connected to the internet, without the need for any special application. Wind turbines make very little noise. The evolution of wind farm technology over the past decade has rendered mechanical noise from turbines almost undetectable, with the main sound being the aerodynamic swoosh of the blades passing the tower. Wind energy is a clean energy which has a positive impact on the environment. The harnessing of wind energy decreases the use of fossil fuels, nuclear energy and other polluting energy sources, decreasing CO2 emissions. When sufficient wind is available in a remote, isolated grid area, the WES Hybrid system can significantly reduce energy costs. Installed WES Hybrid turbines have demonstrated that up to 80% of energy need can be met by wind energy. 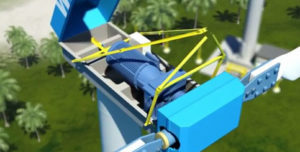 WES turbines can be equipped with an in-board-hoisting-crane. The in-board-hoisting-crane makes it possible to lower the rotor without a external crane. The rotor can be secured to protect it against hurricanes or typhoons for example. Interested in our technology or do you have a question? Don’t hesitate to contact us!